Hello! I have a very special author today, Julie Cooper Brown! Julie has written The Last Day in the Life of Jillian. This is the first book in a series of The Last Days. Jillian and Evan are trapped and Evan is ill. Jillian recalls the events that have led to their demise, as well as documenting the stages of Evan’s infection as he changes into a being she used to love to be afraid of. Briefly tell us about the book(s) you have published. 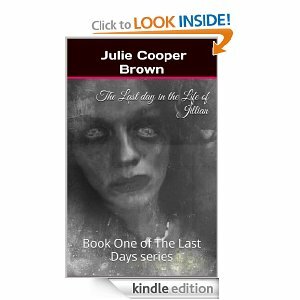 The Last Day in the Life of Jillian is one woman’s struggle to survive during a zombie apocalypse. She recounts the events that led up to her demise as well as documenting the stages of infection as it ravages her beloved husband’s body, turning him into a being she once used to love to be frightened of. What motivated you to write your book(s)? Honestly. I was unemployed and bored. I had just finished watching season two of The Walking Dead, and I wondered if I could come up with a story that would reflect how it might be for me if this sort of thing were to happen. What do you think your book(s) offer to your readers? An escape into someone else’s mind for a moment. An opportunity to feel the emotions of another in distress without being in distress themselves. Who is your favorite character from your book? Why? Jillian is my favorite character. 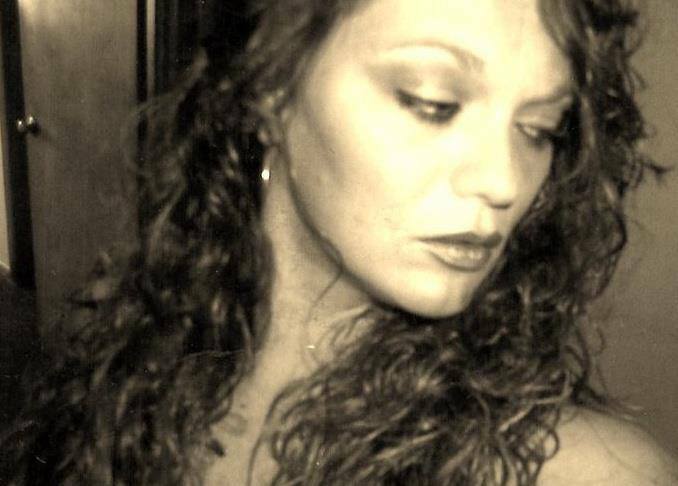 I based her greatly upon myself, thoughts attitude, speech. She is an alternate me, just prettier. Do you prefer pen/paper or the computer when you write? When I began writing Jillian, I used a pen and paper to write the entire story. I put it into the computer later, and then I was able to find most of my mistakes. Now, if I have an idea, I quickly jot it down and come back to it later, but I use the computer at that point. Do you prefer reality or fantasy? I am a lover of all things that have nothing to do with reality. I mean, we are ready have plenty of that! I don’t care for reality shows at all, I have enough going on in my life. So, fantasy takes me away from what ails me. Stephen King, John Saul, Anne Rice, Dean Koontz, I really like Brian Keene these days and I have a new favorite in the crime thriller genre, Author Cliff Roberts. There are several others I could mention but there is not enough room on this page . Out of all of the books you’ve read, which books have “stuck” with you? Wow, that is a hard one. I have so many. I guess I will refer to the one I find myself most thinking about here and there. John Saul’s Comes The Blind Fury. I read it when I was ten, maybe eleven years old, I still think of it. What type of advice would you give other indie authors? I want to say, keep writing! Being able to put it down and finish it is a great accomplishment, even before it hits the internet. Give it your best or nothing at all. Have you had any regrets regarding this writing/publishing/marketing process? Is there anything you would do different? I have no regrets. I am learning as I go and I have made mistakes, but with all the great support groups I am in with fellow indie authors, they help me through it. Since you started this journey in writing, what are some positives and some negatives you’ve encountered? I have found great friends and acquaintances in my journey. That’s surely a positive! The only negatives I don’t like waiting when I hit publish. I am a very impatient person in the first place, so waiting twelve hours is like pulling teeth. Other than that, everything else has been lessons learned and knowledge of other aspects of the business attained. I occasional play guitar, a little piano and even a little bit of violin. I don’t have one, I wish I did. My husband and I sometimes play tennis and I love to read. Tell us your most memorable or proudest moment. My first 5 star review. I really went into this thinking that people were going to rip it apart! I knew it had some editing issues, but it was such a great story to them that they didn’t mind. I was very flattered. I couldn’t believe that I wrote something that a stranger thousands of miles away would like it so much. Tell us something interesting about you that your readers may not know. Well, I am 39 years old. I have been married to my husband Jeremy for 6 years. We both have three children each and I am a short order cook for a living. Finally, if you could say something to your readers, what would it be? Thank you for reading my works. I am humbled by the response that I have gotten for ‘Jillian’ and you couldn’t have made me happier. Thank you for your time and joining us today!